I’ve been following Alexandra Franzen’s work for a while now. She is such a beautiful wordsmith, and creates amazing content. Lots of lovely links to check out below. How Twitter could be costing you 3.4 years of your life! In this blog post, I will talk about setting intentions for your day to create business success. I’m a great believer in setting intentions for your day. Setting intentions is a great way to activate the Law of Attraction. 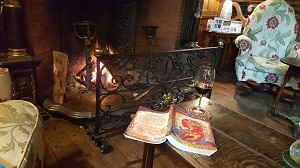 If you’ve never done Law of Attraction before, and want to know what I mean a nice little book to get you started is ‘Excuse Me, Your Life Is Waiting’ by Lynn Grabhorn. Another one you may know is ‘The Secret’ by Rhonda Byrne. There is a bit of controversy around The Secret because people don’t believe it’s ‘proper’ Law of Attraction. While it does focus more on material things, it was a great introduction for me into it. Well firstly, let me start by saying I am not a teacher of it, I just use it for my life, so just take what you like from my random musings! I’ve ‘manifested’ (brought in) lots of fabulous things into my life, such as a training job, a new car, people, opportunities and more. It’s basically the idea that what you focus on is what you attract, that thoughts become things. The thinking is that if you FEEL poor, you’ll attract less money coming your way. If you FEEL sad, you’ll attract more sad things in your life etc. etc. I come from a religious background, my family are all very religious. 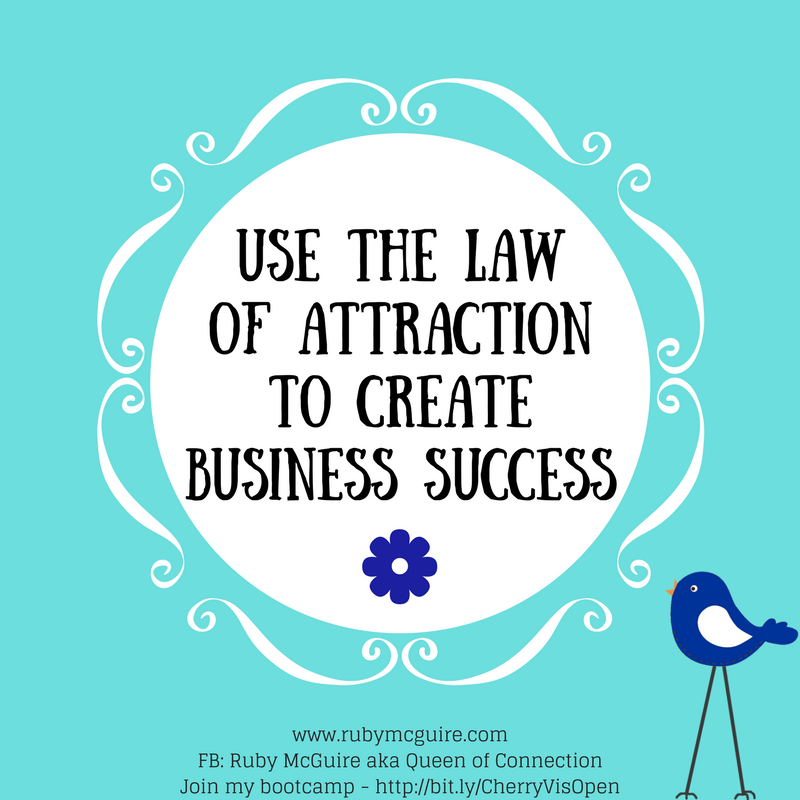 What I love about the Law of Attraction is that it’s all very positive. You’re not going to be damned and sent to hell if you don’t do this or that (but hey, that’s just my personal experience of it and I’m very much a person that believes in live and let live’) Everyone has their own way to be spiritual, and this is mine. If you’re up for a bit of ‘woo’ then read on. 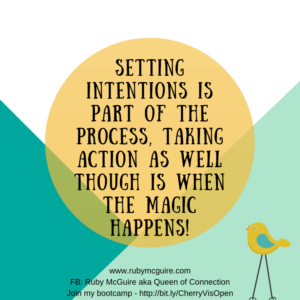 How do you set intentions? The way I do intention setting is to think about how I want each day to go, how I want to FEEL. 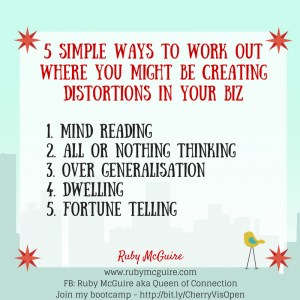 One of the strategies I use is a fun little Law of Attraction exercise I learned a few years ago from one of my mentors, Geraldine Kelly, where you simply draw a line down the centre of a piece of paper. On one side you put all you want to do that day and on the other you treat the Universe as your employee and write down all of the tasks you want them to do. You can really have fun with it. It definitely shifts your mindset where you are delegating those tasks you’re either not sure how to do, or you need some support with. You’ll be amazed at what can happen when you do. Mike Dooley, a New York best selling author and speaker, has a similar exercise where you draw a triangle on your page. At the top of the triangle you write your overall goal and then on each side of the triangle you write what you want to do and what you want the Universe to do. Both are pretty much the same. My Virgo brain can’t cope with the triangle though because there’s no room to write what I need and it looks messy! For an intention, you simply think about what you want to be/do/have and then release it as if it’s already happened. You can even do what’s known as ‘future segmenting’, where you set an intention for the next block of time, i.e. this morning I want to be/do/have x,y,z. Just have a play with it and see where it takes you. Remember to really get into how you want to FEEL. Ultimately, you want to be thinking how you can bring fun and happiness into what you’re doing and that can help. When you do that you’ll be getting into really good feelings and that will attract more things to feel good about. You then just need to trust that whatever you’ve set as an intention is possible, and let go of the attachment to the outcome. That can often be the hardest part! Lots of content ideas so that you know exactly what to write for your blog posts, newsletters etc. Set your intentions for this coming week. What would be a fabulous outcome for you by the end of the week? Write down whatever comes up for you. Release any fears that might come up around them. You can guarantee those pesky mindset monkeys will try to lead you to believe that what you’ve written isn’t possible. Clear that up as quickly as possible. 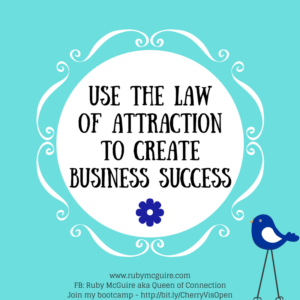 What would you love to achieve, and how you can use the Law of Attraction to help you achieve amazing things in your business? Once you’ve got your list write down one action that you’ll take to help you make it happen, i.e. If you wrote an intention of having a steady stream of clients, what action could you take today to invite people to want to talk about working with you? 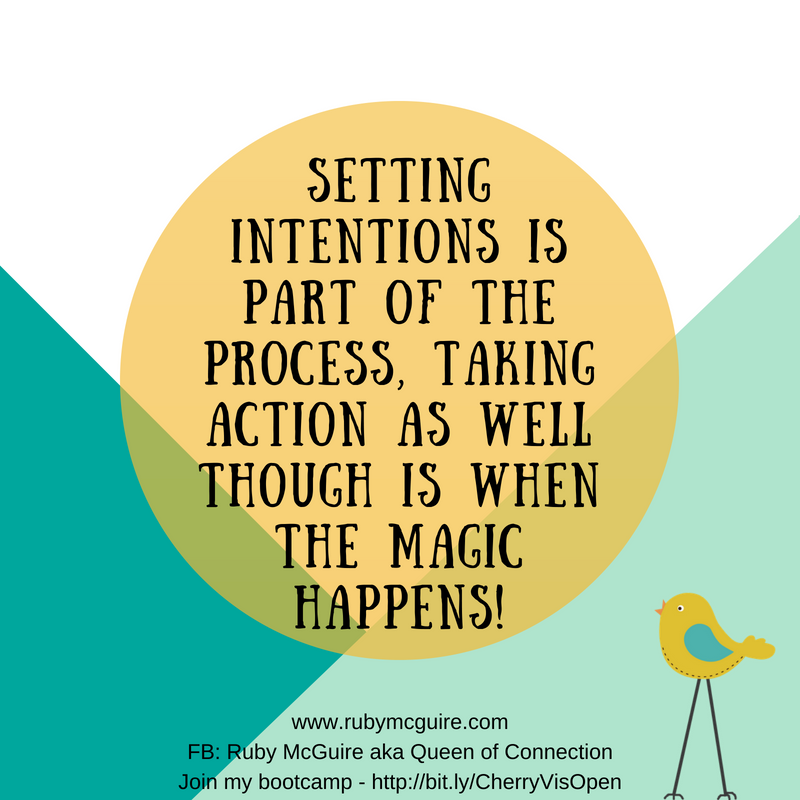 Setting intentions is part of the process, taking action as well though is when the magic happens! 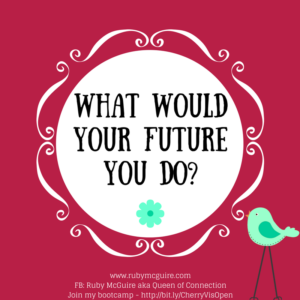 What Would Your Future You Do? 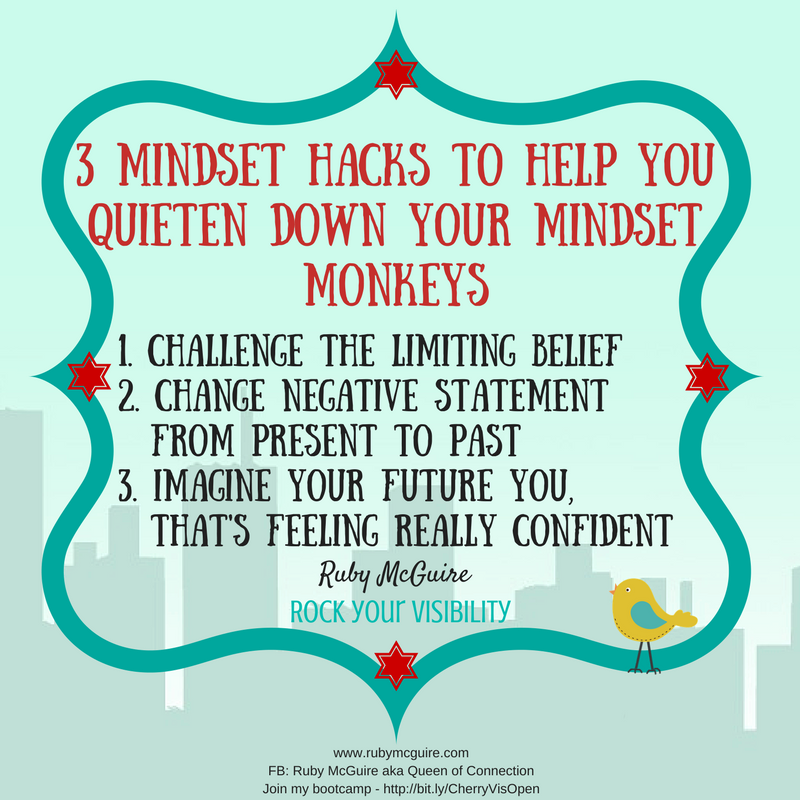 In this blog post, I will share 3 mindset hacks to help you quieten down your mindset monkeys. 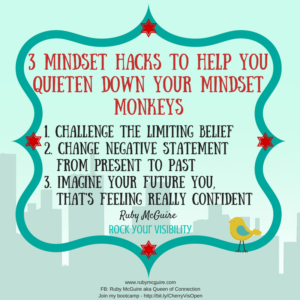 When you want to get visible in your business, your little mindset monkeys start acting up, so you want all the mindset hacks you can get to quieten them down. In today’s episode, I’m sharing 3 simple mindset hacks to do just that. So let’s say you’re about to publish a blog post, or do a Facebook live, maybe a little post in a big group, and you’re telling yourself you’re not good enough, who’s going to listen to you anyway, you’re not this big ‘expert’ that everyone tells you that you need to be. You’re just little ole you. You’ve got some limiting beliefs holding you back. As we were taught on our coaching training, in the middle of the word beliefs, is the word ‘lie’. They are lies that your brain is telling you to keep you safe, so let’s work through this limiting belief. It will help to know. Limiting beliefs start when we make a decision about something. The decision might be that you’re not good enough for example. At some point in time you will have made that decision, which is fabulous, because you can make a new empowering decision today. Where did this belief come from? This is where we want to build some evidence for this belief. Quite often you’ll have lots of evidence, and that’s okay. We can still work with it. Now it’s time to break down that belief by getting evidence to the contrary. You may have to create some new evidence which will mean being a bit brave. As you build your evidence ‘library’ you’ll start to feel more confident and won’t be held back by your limiting belief. 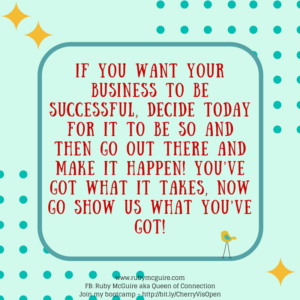 You can be really successful in your business. We just need to get you a new monkey that helps you to believe that. As one of my clients said, a friendly, furry gremlin! Next up you might be using negative language that’s holding you back. Let’s work on that one too. There’s always more to learn, even when you’re a master. Over time your skill will improve and you’ll be the expert you want to be. Letting go of the negative now will open you up to new possibilities. The final mindset hack is about stepping into the future. When you imagine your future you, you can step into some of those qualities and traits that will boost your confidence. Imagine your future you, that’s feeling really confident. 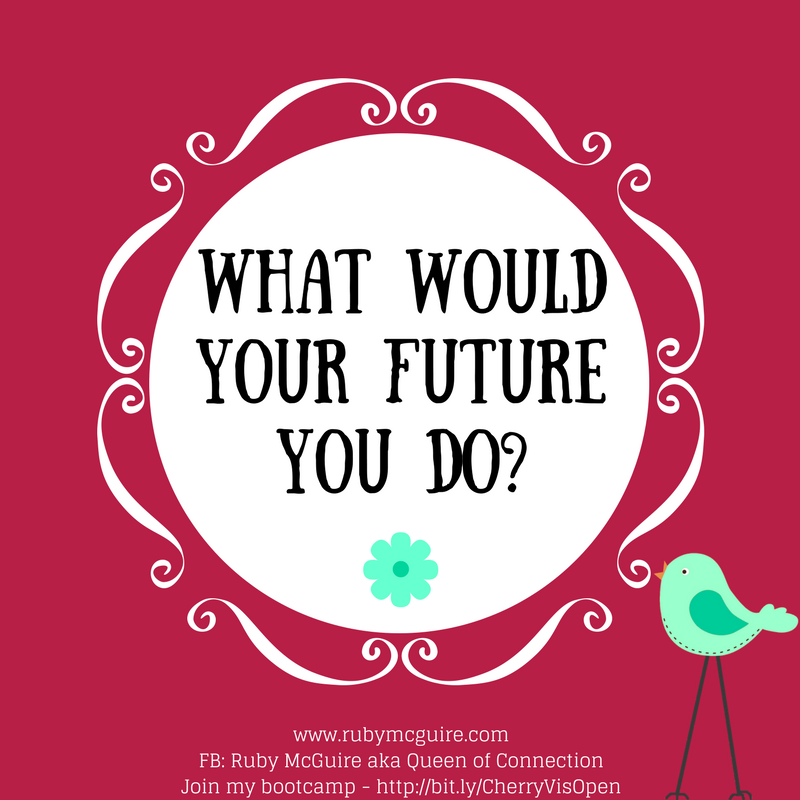 How would the future you behave? How would you go about your day? Perhaps you’d have a massage booked in. 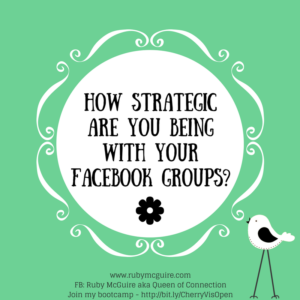 Maybe you’d be in a mastermind group. Perhaps you’d be reading books on different topics to expand your knowledge around your area of expertise. What would you see, hear and feel? Perhaps it would be seeing a group of people in front of you that you’re talking to, maybe you’d hear your name being called as you’re being given an award. You might feel excited about your business, and want to share what you do with people so that you can have a bigger impact and help more people. Step into that person now. Think about the people you’d be surrounded by, your typical day, the person you’ve become. When you show up in your business, come from that place, the confident future you instead of the you that is full of self-doubt and worry. One thing that’s certain about business is that it’s going to bring up any stuff that you need to deal with. It’s not just about learning how to do business, it’s also learning about how to manage your mindset. When you do that, business goes much better. You may clear one limiting belief and another one rears its head. Now you have 3 simple mindset hacks that you can use to clear them and get on with what you want to do – run your business. Call To Action: Commit to working on your mindset each day. It will set you up for business success. What do you need to tell your mindset monkeys today? In this blog post, I will share how you can take control of your life through choices you make. Have you ever come across the phrase ‘cause and effect’ when it comes to being in control of your life? 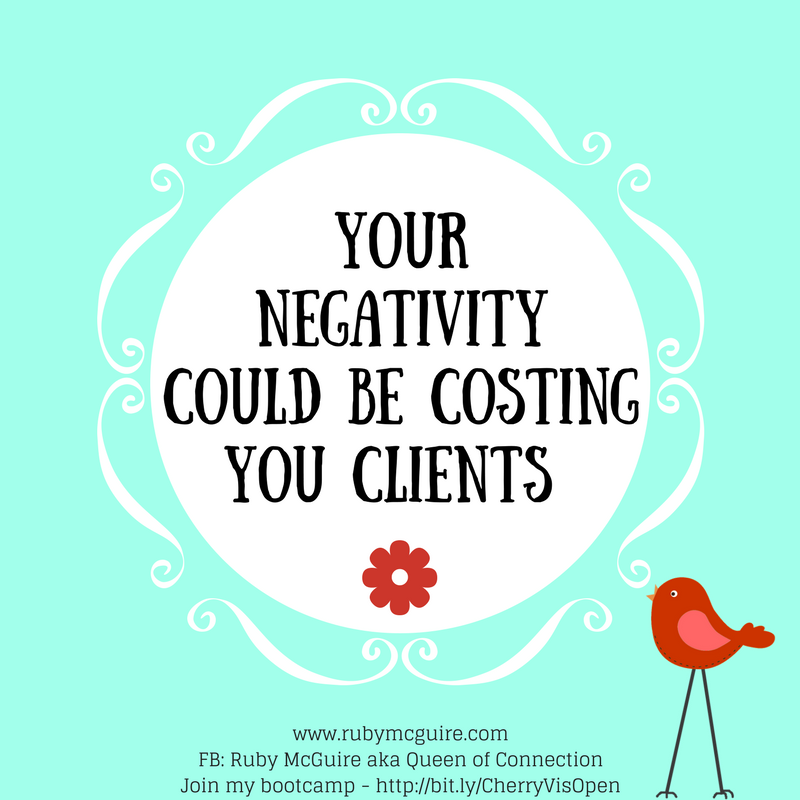 It’s an NLP language pattern and could be something that’s costing you lots of time, energy and maybe even dreamie clients. I know which place I’d rather be in. The one where I get to create my world, where I’m in control and taking responsibility for my life and what happens in it. It isn’t wishful thinking, it doesn’t mean things won’t go wrong, they probably will, that’s life, but it’s your reaction to them that counts. 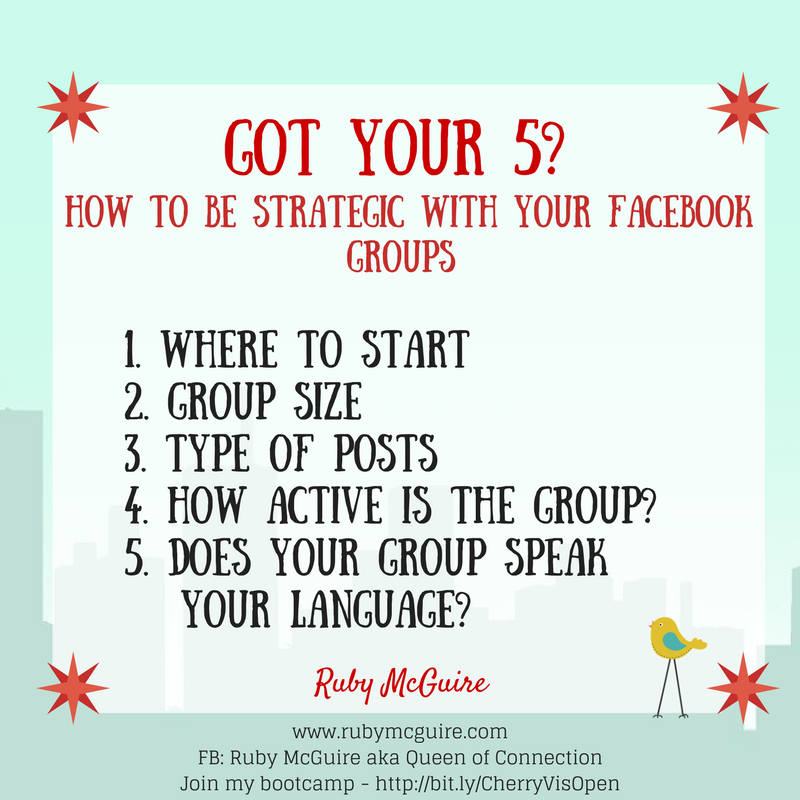 Let’s use Facebook for visibility as an example. We all know the algorithms have changed and it’s been more challenging to reach our audiences. 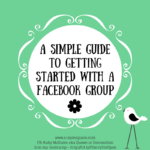 (Personally I’m super grateful to Facebook, it’s helped me connect with some amazing business owners, dreamie clients, and more importantly incredible friends). It’s easier to blame others though, isn’t it? We can pass on all responsibility to someone else, it’s easier. It’s alright for ‘so and so’, they’ve got money to throw around to build their business, they get all the lucky breaks, there are just too many people out there doing what you do, it’s no wonder your business isn’t working, right? If that’s your thinking then it’s time to turn it around. 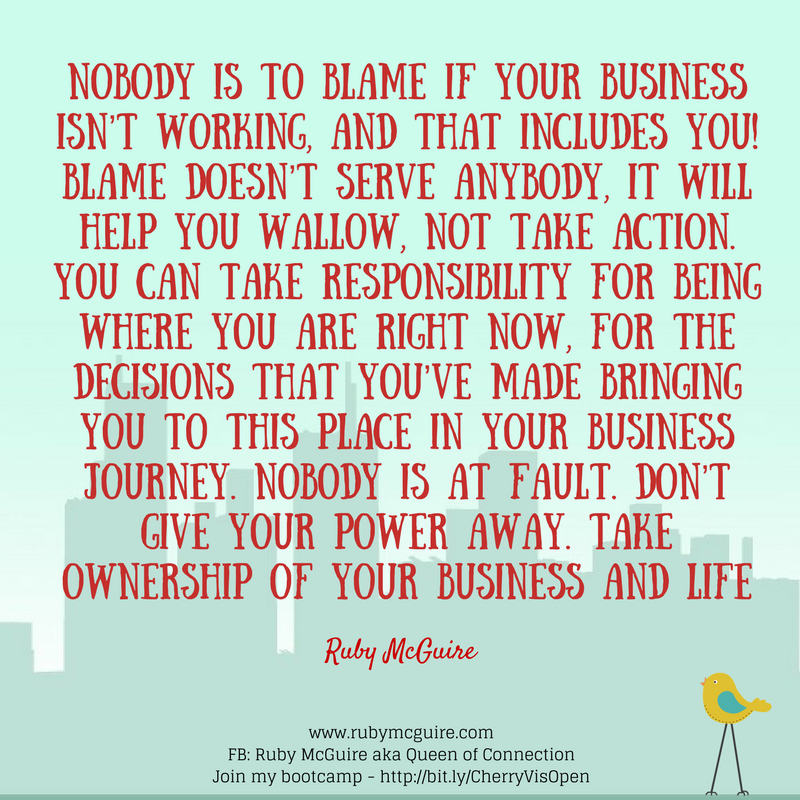 Nobody is to blame if your business isn’t working, and that includes you! Blame doesn’t serve anybody, it will help you wallow, not take action. You can take responsibility for being where you are right now, for the decisions that you’ve made bringing you to this place in your business journey. Nobody is at fault. Don’t give your power away. 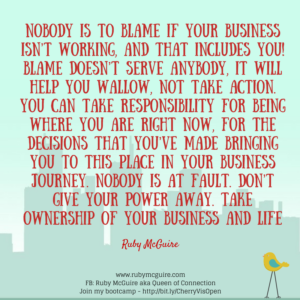 Take ownership of your business and life. If you want to be successful you want to be at cause – in control. You’re an owner of your business, now you get to be the owner of your life too! How cool is that?! When you’re at cause you aren’t a victim, you’re a powerful business owner, who can choose what action to take to build your business. Just think for a moment, how making the decision to live at cause will impact your business. So you didn’t sign up that new client. You can decide that it doesn’t matter if there’s lots of business owners out there doing what you do. You could spend time figuring out what makes you different, whether your services were the right fit for that client and how you can make the next call go better. Your launch didn’t go so well. You can choose to focus on what did go well. Maybe following everyone else’s blueprint doesn’t work for you. Maybe it’s time to pull together a different way of launching, one that feels easy and flows. You didn’t get all of the work done that you set out to do. That’s okay too. You can sit down and work out what really needed to be done, and choose to figure out a smarter way of working going forward, one where you set clearer goals and measurable targets. 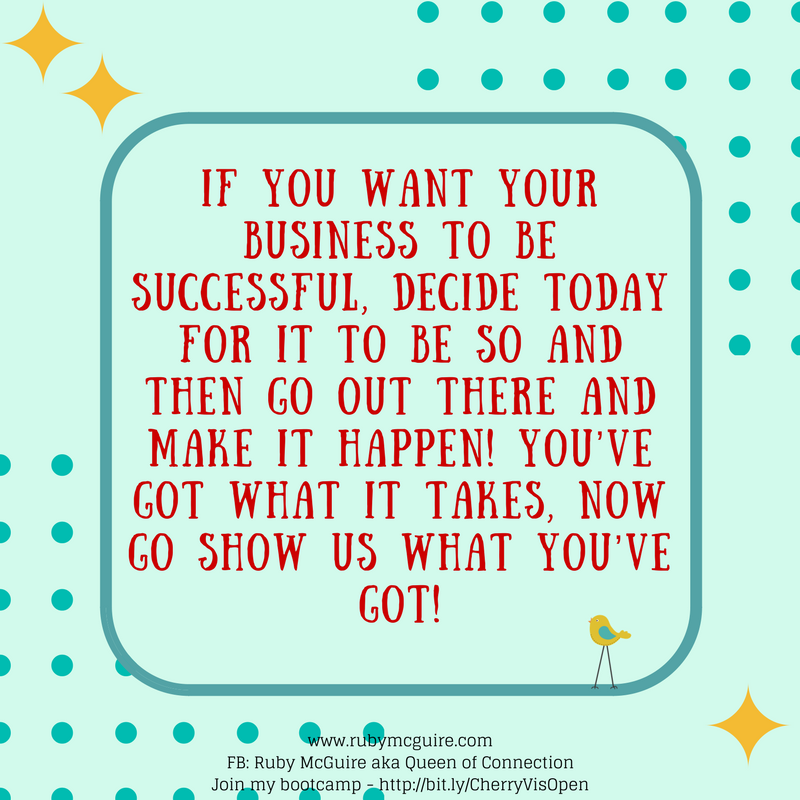 If you want your business to be successful, DECIDE today for it to be so and then go out there and make it happen! You’ve got what it takes, now go show us what you’ve got! Call To Action: Figure out if you’re at cause or effect. Let me know what decision you make from listening to/reading this post and what action you’ll take as a result. 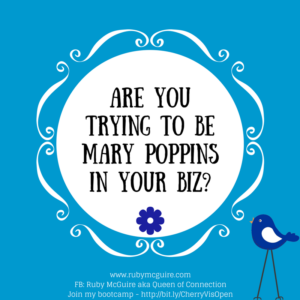 Are You Trying To Be Mary Poppins In Your Biz? In this blog post, I will share why you don’t need to be a perfect business owner to be successful. 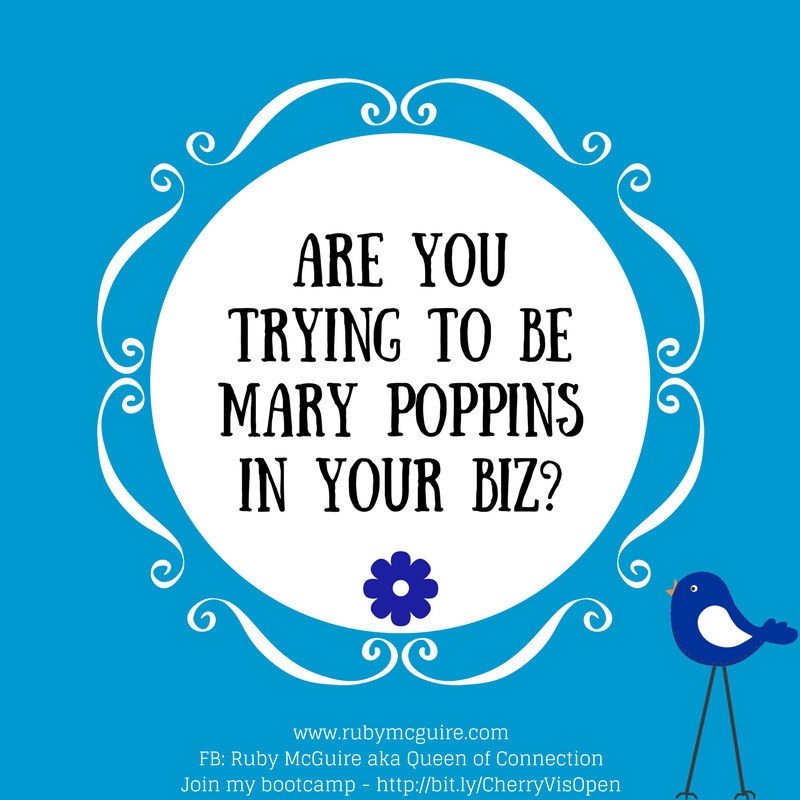 You don’t need to be Mary Poppins, or practically perfect, and you probably don’t even have the time! You need to go with 80% perfect and that needs to be good enough, or you’ll never make any money in your business! Fear of judgement – Ironic really when the biggest person that’s judging you is you! Fear of failure – you WILL make mistakes, fact! Make them, learn from them. It’s feedback, not failure. Imposter Syndrome – Where you think you’re going to be found out. You are – you’re going to be found out to be the fabulous person that you are. I bet if you think about your family and best friends, you could share one thing that’s not perfect about them. If you can’t, then they’re probably perfectionists and hiding their weaknesses really well! We all have them. What expectations are you putting on yourself? 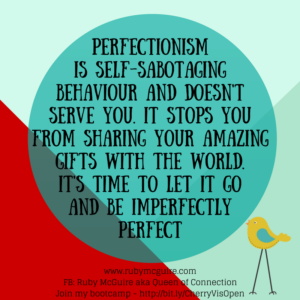 Let me share one of my personal experiences, which may help you realise that if you do have perfectionist traits you’re not on your own! I went for my IIC & M (International Institute of Coaching & Mentoring) Accredited Senior Coach assessment. I was really nervous about it and procrastinated over it for about a year and a half. I finally did the assessment and I was stressed out all day waiting for the call to just be over and done with. The main reason for my fear was that I’m not what you call a ‘purist’ coach, I don’t just coach, I bring in mentoring too, and for this assessment I had to stick to pure coaching. I knew I’d passed as I was told on the call, and I got some great feedback. I then just had to wait for the certificate and the actual grade to come through. When it did, I was really disappointed. The pass mark was 75%, I got 86%. I didn’t think I’d done that well. I completely discounted that I’d passed and was now an Accredited Senior Coach, all because of a silly number. My brain still says I should have got a higher grade but I have to remind my mindset monkey that it’s okay not to be perfect! Are you perfect? No?? Why not??!! “Now you might not want to hear this. Perfectionism is also hiding a lack of confidence and the need to be liked. You don’t want to send out that letter with a typo on. Why? You don’t want people to think you’re unprofessional. You don’t want to put a post on social media that’s less than perfect. Why? Because you’re worried about what people think. You don’t start a new action/activity. Why? Because you think someone will do it better than you can. We want people to like us, there is a need for approval and we think if we show any flaws then people won’t like us. Well, you know what you are NEVER going to get everyone to like you. NEVER. Some people will totally love and get you. Others might think you’re crazy or you might drive them crazy. 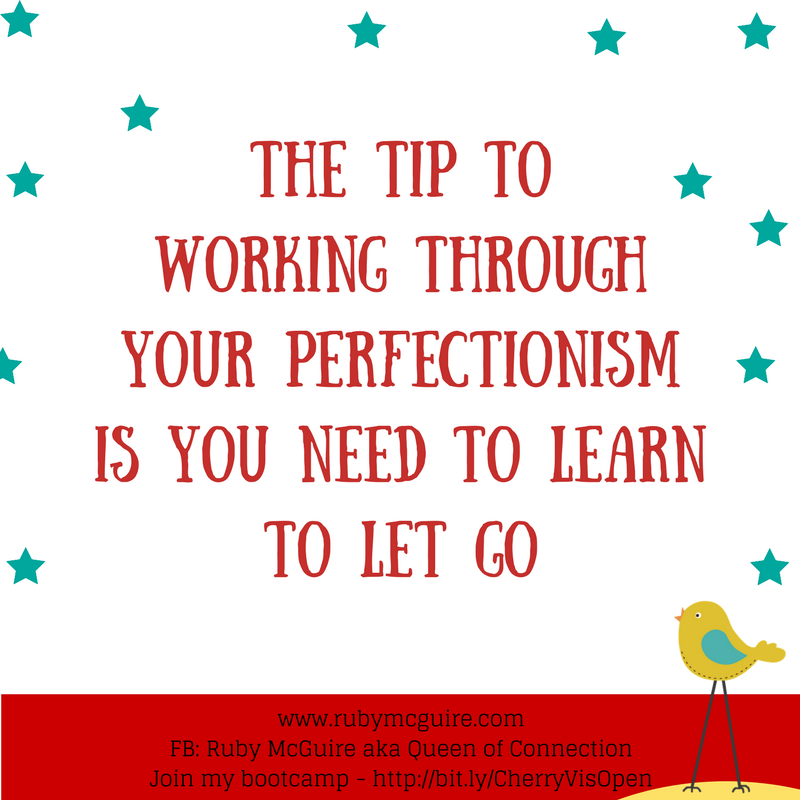 The tip to working through your perfectionism is you need to learn to let go. For those of you that are perfectionists, I know, how on earth do you do that, it’s impossible, right?! Well, it can be done but it’s uncomfortable for a while. Why is it so hard to do a less than perfect job, but so comfortable to attempt a better job? 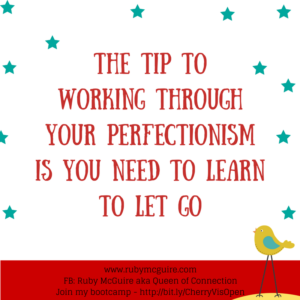 Perfectionism doesn’t just affect your life, it may be really stifling your business/work too. I like things to be perfect, but I’m slowly learning that 80% can be good enough. My online coaching programmes might never have launched if I hadn’t chosen just to release them into the world and tweak as I go. People are taking steps in their businesses because I put myself out there; fear and faults, or not. So what’s wrong with wanting to do a really good job or creating something perfect? Nothing. It’s when the judgement, analysis and criticism kick in that it becomes a problem. It’s when it stops us in our tracks, preventing us from moving forward that we need to recognise it’s holding us back. Become a work in progress like me! 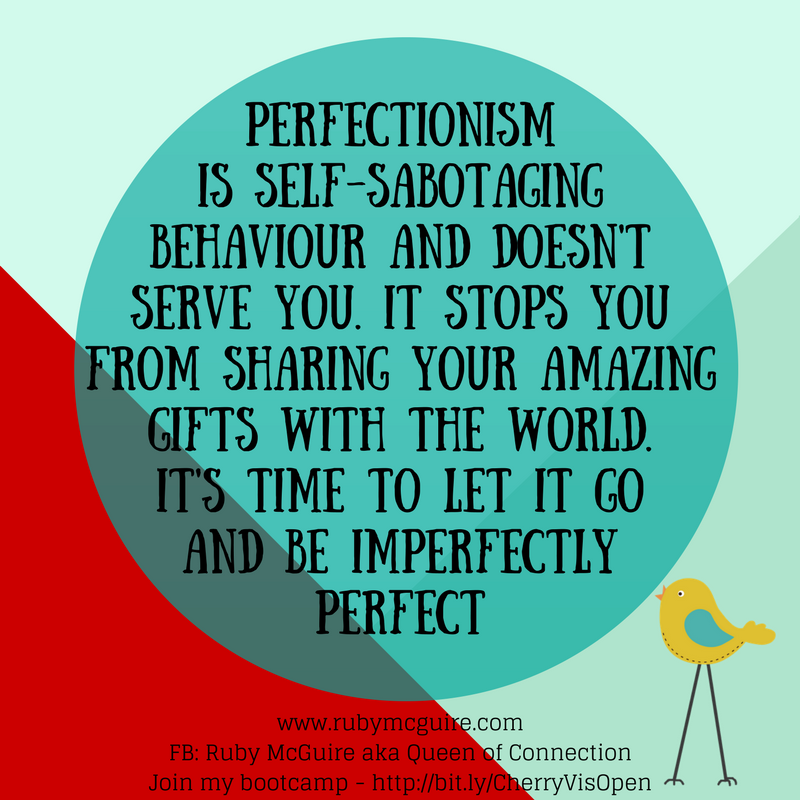 Perfectionism is self-sabotaging behaviour and doesn’t serve you. It stops you from sharing your amazing gifts with the world. It’s time to let it go and be imperfectly perfect. You KNOW what it is you’re putting off. Just do it. No more excuses. THIS WEEK! 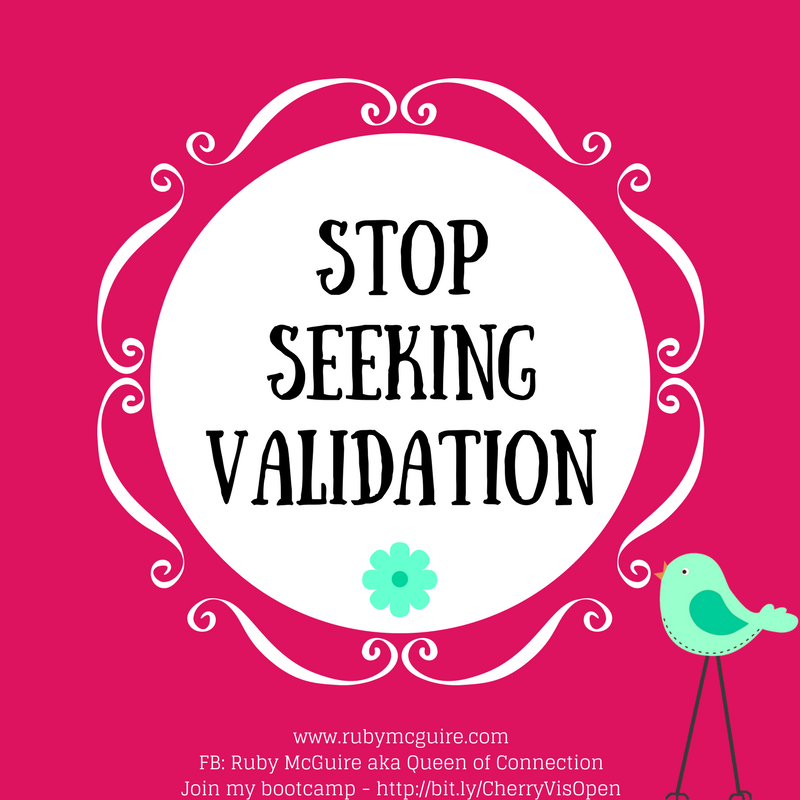 In this episode, I will explore ways to stop seeking validation in your business. One of the things I see time and time again in business is the need for us to validate what we’re doing as business owners. I work with a business bestie and often we ask each other something, that honestly, we already know the answer to. She was joking about it recently saying that it’s as if we have this 4-minute unspoken rule, where we post the question, want the answer in 4-minutes and if we don’t get it, then we just go ahead with our idea anyway! She was SO right! Why do we do that?! 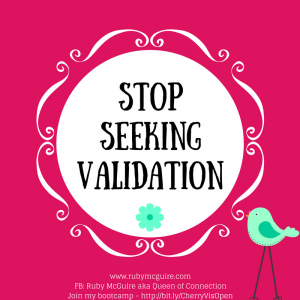 Why do we need to have others validate us somehow? (Rhetorical question – please don’t send me loads about mother and father issues – I get it, I have those too!) It happens in life, but I think when you’re in business it can come up even more often. If you’re working for a boss, you have someone that can check up on you, keep pointing you in the right direction. When you work for yourself you’re essentially on your own. 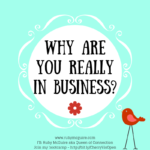 Okay, you might pay for people to support you, and you might have friends that understand your business almost as well as your own, but ultimately the buck stops with you and let’s be honest, sometimes that can be freakin’ scary! We follow other people’s advice about being visible. 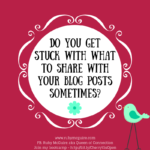 Let’s say you want to write a blog post, but you hate blogging. If you follow someone that says blogging is the only way to grow your business, guess what you’re going to want to follow that advice. 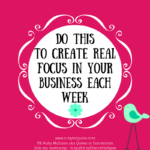 What if you can do business YOUR way? Don’t like video? Then don’t do it! Seriously. You have permission not to do it. BUT and it is a big but, you need to find other ways to be visible, and where video is a pretty powerful tool, you may have to work harder in other areas of visibility to create the same traction. It’s still possible to be visible without doing video though. Someone might say you should do something a certain way in your business and you do it but it doesn’t work. It might not, that’s business. It’s all about learning what does and doesn’t work. What works for one business won’t work for another. It’s all one big experiment. You don’t need other people’s approval though, you just need to find out what works for you. Test YOUR goals, YOUR theories. One of the things we do in my Rock Your Visibility programme is work on one area of visibility at a time and we test/measure what works/what doesn’t. That way you only have to test one area of visibility for a month. Still hate it? Don’t do it. Love it but not getting results yet? (results do take time) Keep going, test it over a longer period of time. Stuck in a rut? Ask yourself, “What choices do I have here?” and notice what happens as you explore them in turn. If you tune into your body, you’ll start to notice how it feels. Does it excite you or make you feel all twisty and icky in your tummy? When you look at the idea on the page in front of you, what’s happening? Has it sent your mojo (motivation) packing or has it set you on fire, biting at the bit to get started? If the former then it may not be your goal, it just may not what you want for YOUR life. Now this doesn’t mean though that if it’s scary you don’t do it. Scary is a good thing, it helps you step up and reach new heights in your business. It’s time to stop people pleasing, to work out what goals are yours, what you can adapt and what you need to leave behind. If you want to double check everything though, there’s always that coach/mentor/friend who enables you to do that 4-minute unspoken rule! The timer starts now! 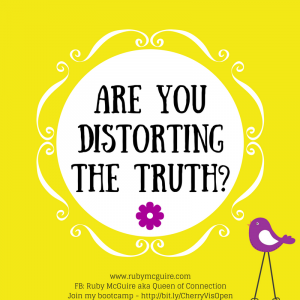 Are You Distorting The Truth? In NLP we talk about cognitive distortions, and even if you’ve done all of the self-development work in the world and your bookshelves are bursting at the seams with personal development books (Oh, is that just my bookshelves then?!) 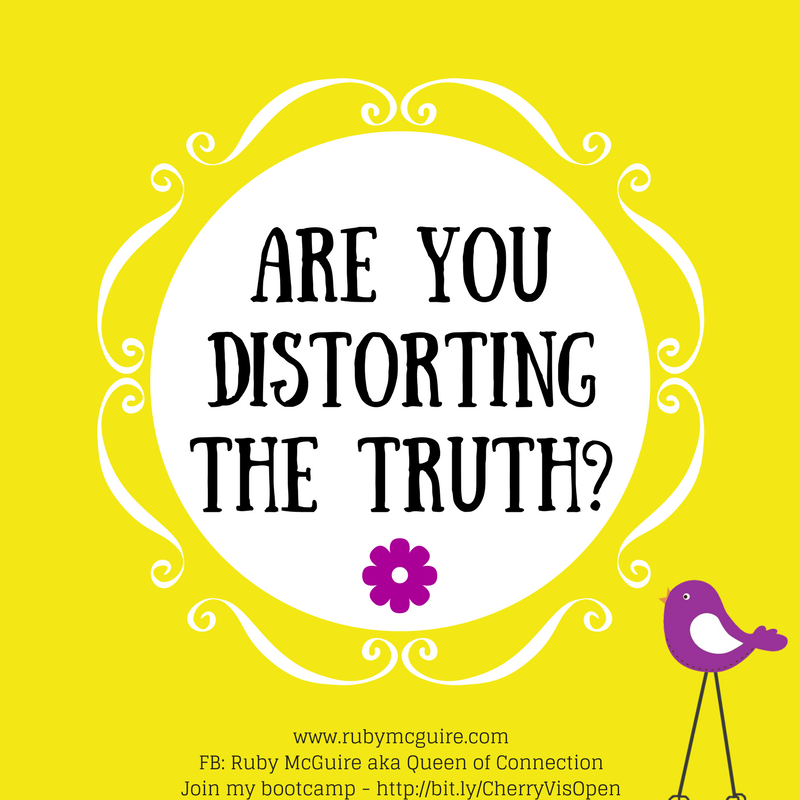 it’s likely that you’ll still end up distorting reality in some way. When I talk about reality I often wonder whether there is even such a thing. We all have our own interpretations of what’s happened/happening. Okay, okay, I’m going too deep here, let me stay focused, haha! So what are cognitive distortions? They are essentially thinking that is distorted, not true. You may notice yourself in some of these distortions. 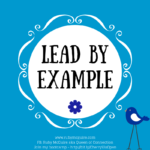 I’ve shared 5 examples of how it might play out with your visibility and how you can work through them. This is all about making negative assumptions, we are reading the mind of the other person, making up a story of what it could mean. This is all about what you are making it mean. Harsh but true! So, you didn’t complete my blog post. So what! Will the world end because your blog post didn’t go out? Unlikely! Ask yourself, “What got in the way?”, “Were there other pressing priorities?”. Tell yourself that you’ve made some progress, so it’s not a complete waste of time, and then challenge yourself to complete the rest of the post by a certain deadline. For the sales one, ask yourself what other reasons there could be for people not signing up, i.e. Was my message strong enough? Did I have the right offering? What about timings? Did I do sufficient things leading up to the offer of buying something? etc. There will be many areas that you can test and tweak around your sales. By using the non-sales as an invitation to explore you can open up loads of opportunities to improve. Like anything in business, things need tweaking and adapting over time. 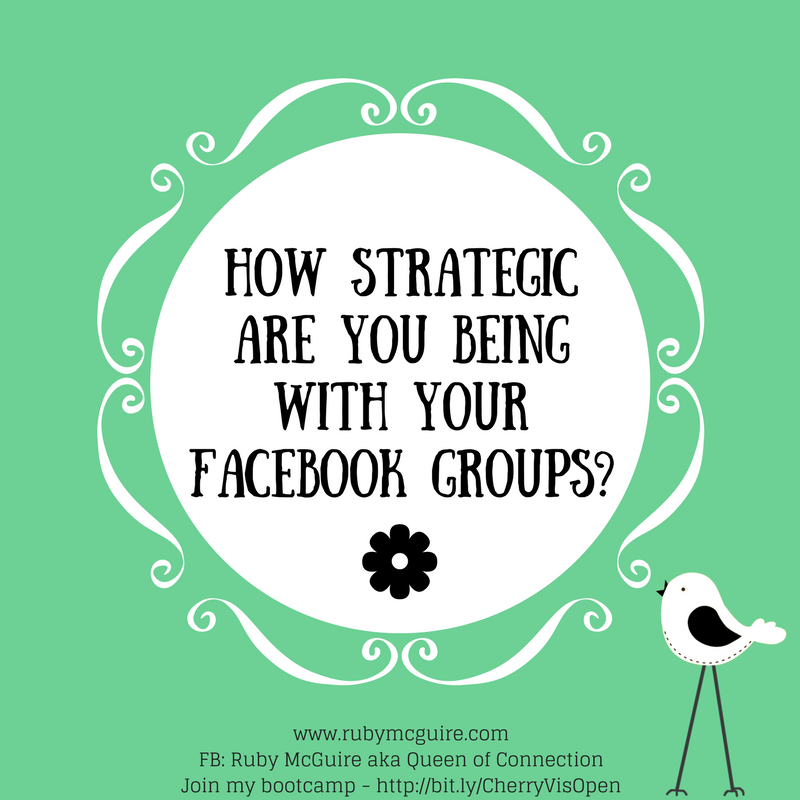 Ask yourself, “What am I scared of specifically?” It might be that Facebook Lives are a particular area of visibility that you find uncomfortable. Drill down into the specifics of the fear. What specific element about Facebook Lives are you scared of? What specifically makes you feel uncomfortable? Is it not knowing how to do the technical side, what to say, what to wear, how to label the video, how to come across in the right way? This is where you spend time ruminating on things that went wrong instead of what’s gone right. The launch one is actually one of my personal go-to’s. I’ve had great experiences with launches and not so great experiences, yet this one likes to trip me up on a regular basis! The video – Ask yourself, “What happened that made me mess up my wording?”, “What can I learn from this that will help me do a better video next time?” Often when we mess up on video, we’ve had distractions, someone has come online live that’s completely thrown us, and/or we might not have prepared as well as we could, or maybe even it just wasn’t the day to go live – maybe that day was the day you were tired or not at your best energy wise. There will always be a lesson you can learn from it to help to improve going forwards. Simply ask yourself, “How do I know?” Seriously, how can you possibly know how it will go? It could be rocking for all you know. Keep challenging yourself and remember past is not always an indicator of the future. 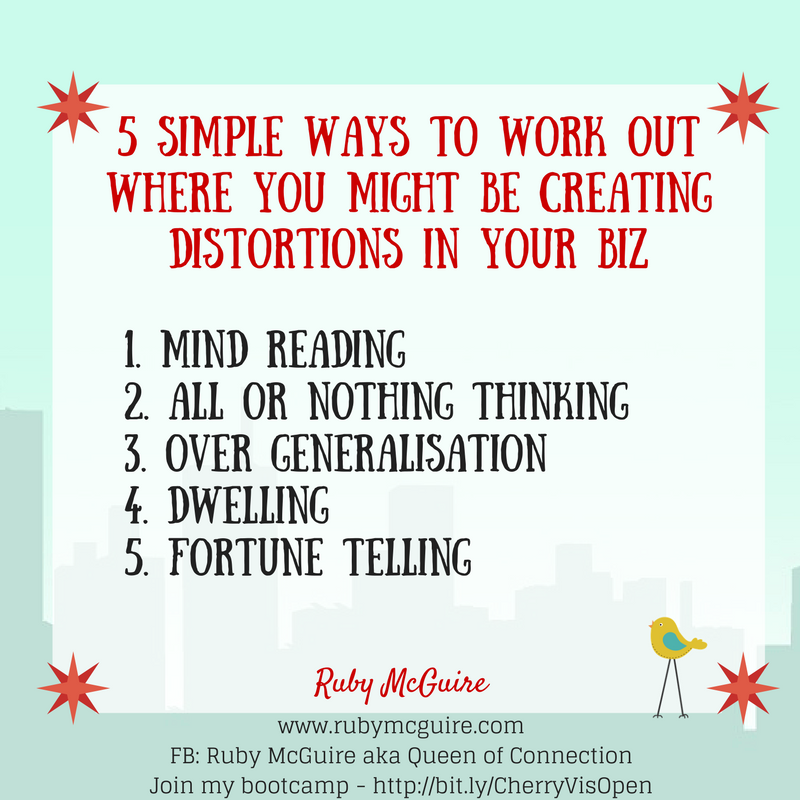 So there you have it – 5 simple ways to work out where you might be creating distortions in your biz. Share below which one you think you might do, and what you’re going to do instead. 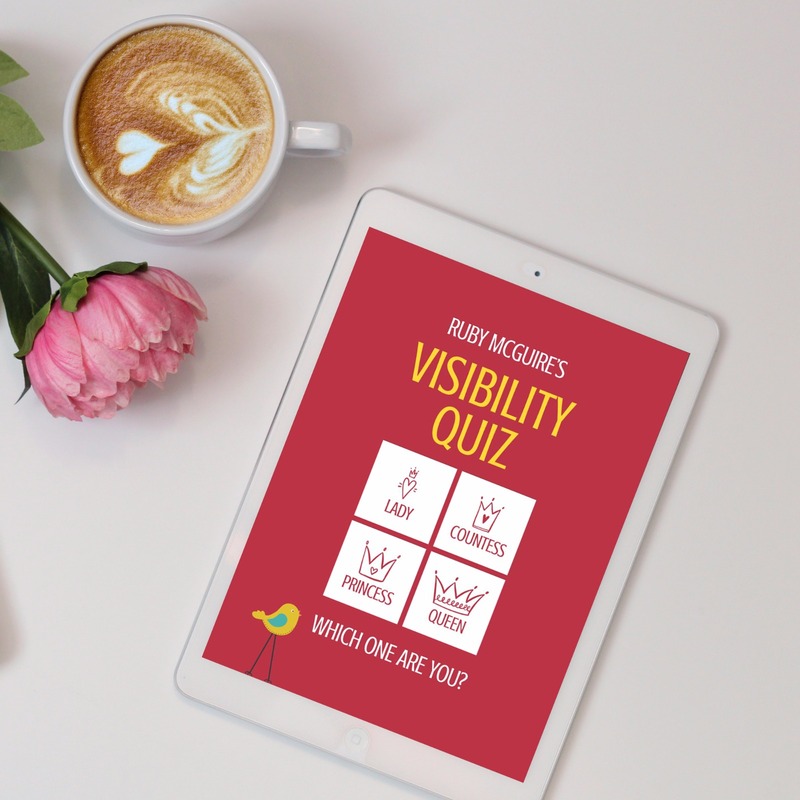 Remember to check out my Visibility Quiz to find out whether you’re a Visibility Lady, Countess, Princess or Queen. If you’re a guy then please change the names to Lord, Count, Prince and King) Once you’ve got your score I’d love for you to come on over to my pinned post on my business page (http://bit.ly/FBbizPinnedPost) and tell me what score you got. There’s a chance to win a little prize each month. 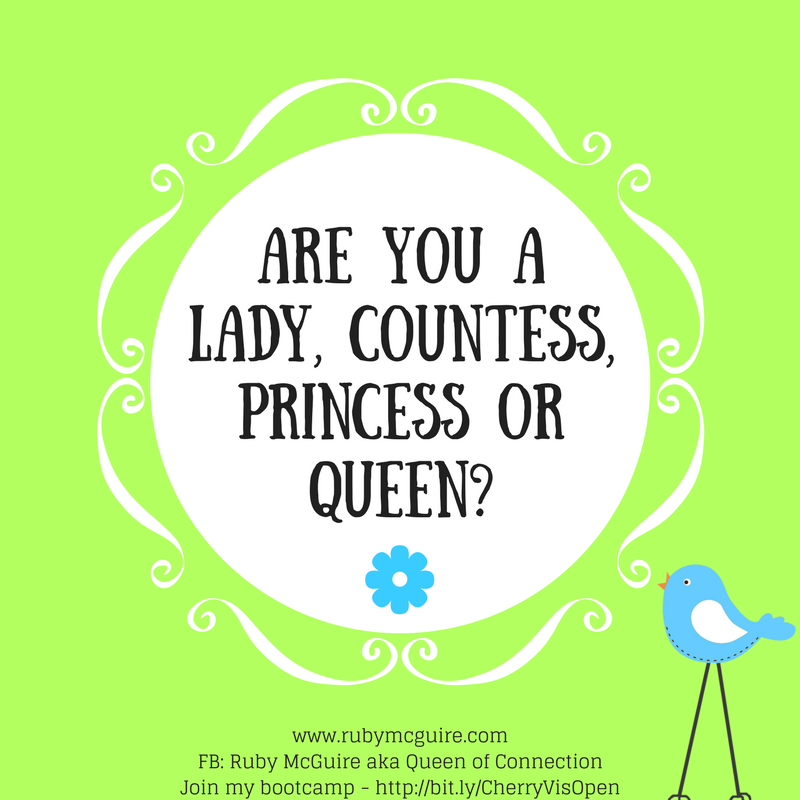 Also, I would love to interview Ladies, Countesses, Princesses & Queens on my podcast show, Rock Your Fabulous Biz. 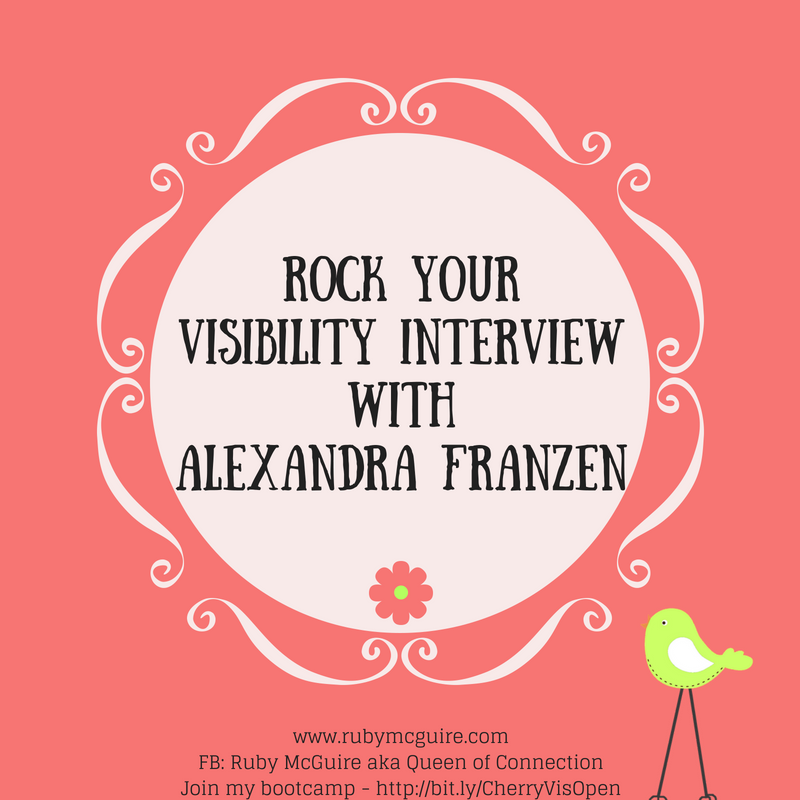 I’ll be asking you all about what you do on visibility right now, what’s working for you, what’s not and where you’d like to be. If you’re interested then apply for your spot here. In order for your application to be considered, you’ll need to have completed the quiz though as I’ll need to know what you’ve scored etc. 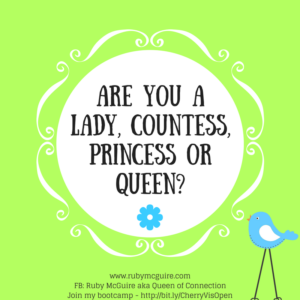 Are You A Lady, Countess, Princess or Queen? I recently revamped my Visibility Quiz and thought I’d have a bit of fun with it. Because about 95% of my audience is female I decided to play around with feminine words. Words don’t work, you can just replace the quiz personalities as Lord, Count, Prince & King or whatever creative names you can come up with! Well really it’s just a bit of fun – there’s no science behind it. I just identified different levels of visibility in business, so based on your level of visibility you’ll either get a score of Lady, Countess, Princess or Queen (or your equivalent) What’s really interesting is how addictive visibility can become when you make a game of it. 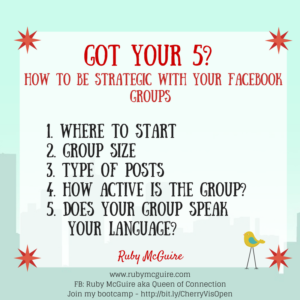 I’ve had people in groups asking how they can get to the next level, and asking if they can work with someone at a higher level to get tips to improve their own visibility. Like anything online there’s all of these hooks to help you take action, there’s leaderboards, and app points and so on, so I thought I’d create something for my dreamie clients to help them take action on their visibility, rather than it being one of those someday jobs. You know the ones. The thing is there are over 80,000 ways to market and so it’s no wonder we become overwhelmed with the best way to be visible. Well there is no ‘right’ way as such, as every business is different. I don’t believe in the whole ‘follow my blueprint and you’ll get overnight success model’. Saying that though, I’ve fallen into the trap of using it in the past. The right way is whatever is right for your dreamie clients. Who are they? Where are they? What do they need to hear from you? How can you show up so that they connect with you quickly? What next steps do you need them to take? What do the different levels mean? Lady: You’re at the start of your visibility journey, there’s some work to be done. 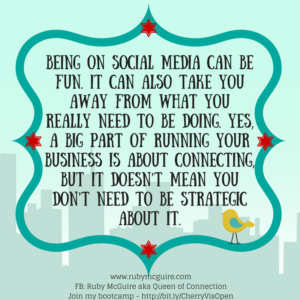 It may be that you’ve done some of the things like posting some things on social media, getting clear on who your dreamie clients are, and starting to hang out online in the right places. Countess: You’ve done some of the ground work and you’re starting to get a bit more consistent with your messages. 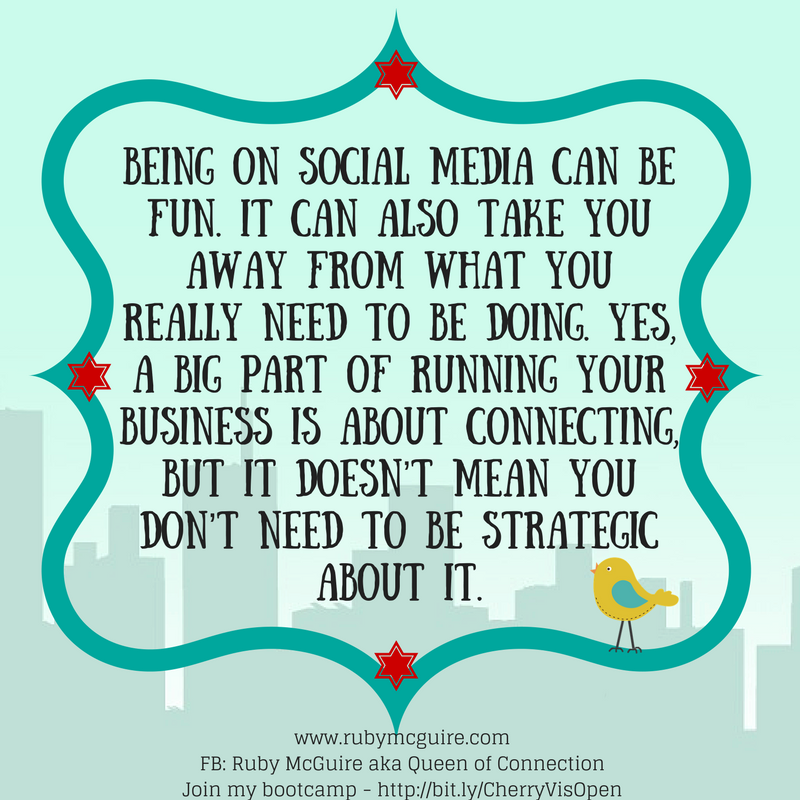 Maybe you’re networking, maybe you’re on a social media platform and showing up regularly. You’re on your way! Princess: You’re starting to get a bit more strategic with what you do. When you’re here you might be running your own group or writing regular blog posts. You’ve worked out lots of things that help you get in front of the right people, you just need to do more of it / try new things. 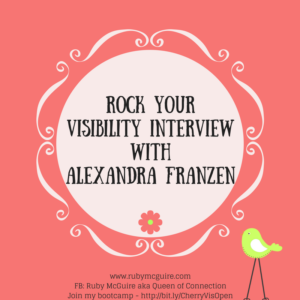 Queen: You are rocking your visibility! Go you! There will still be more things you can do to get visible. What will your next step be? If you haven’t done the quiz, check it out here. I’d love for you to come on over to my pinned post on my business page (Link in the show notes) and tell me what score you got. There’s a chance to win a little prize. 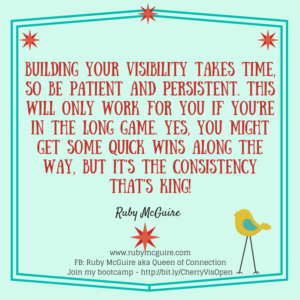 Building your visibility takes time, so be patient and persistent. This will only work for you if you’re in the long game. 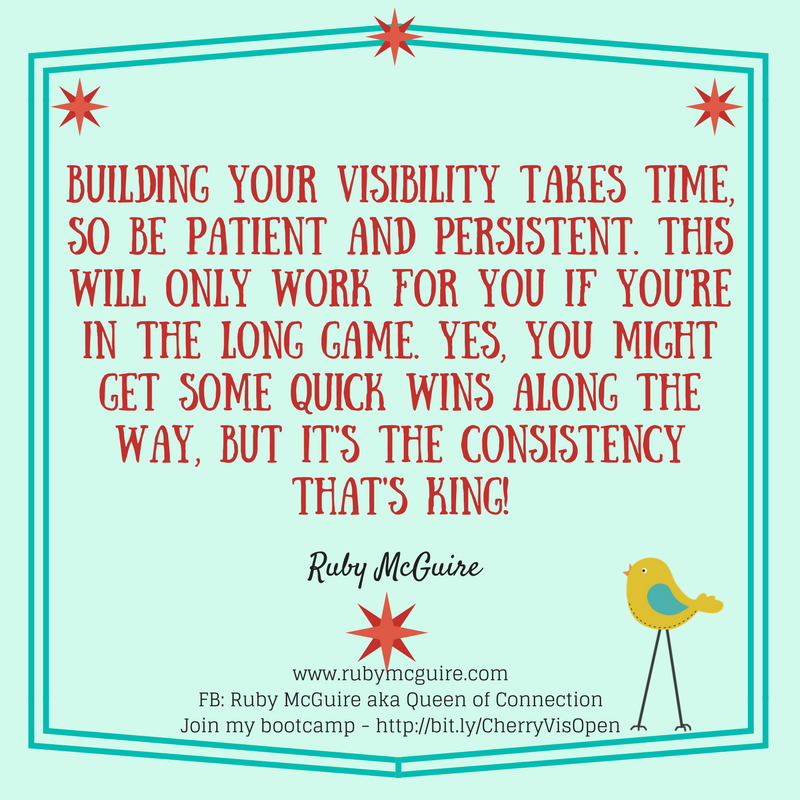 Yes, you might get some quick wins along the way, but It’s the consistency that’s King! In today’s episode, I’m chatting to Rosie Slosek of The Money Haven.com about money and embracing the woo in your business. 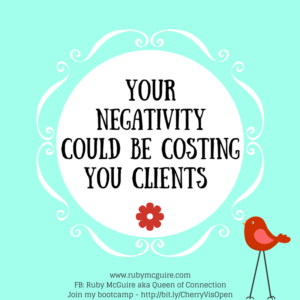 Rosie gives you a safe space and the support you need to sort out the money side of your business. 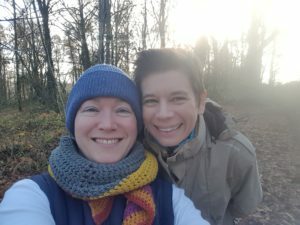 She combines hand holding for the emotional overwhelm and practical actions to support you starting your business, demystifying limited companies, doing your tax return and getting your business in good shape to grow. We’re having a bit of a different conversation today. We’re going to be talking about role modelling the woo in you business. 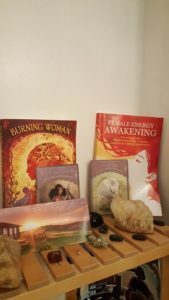 So for me, woo means the intangible, spiritual side of the business, law of attraction, meditation, oracle cards and more. What I love about it is it frees up your mind. It’s not just about positive thinking, because let’s be For everyone it will mean something different. 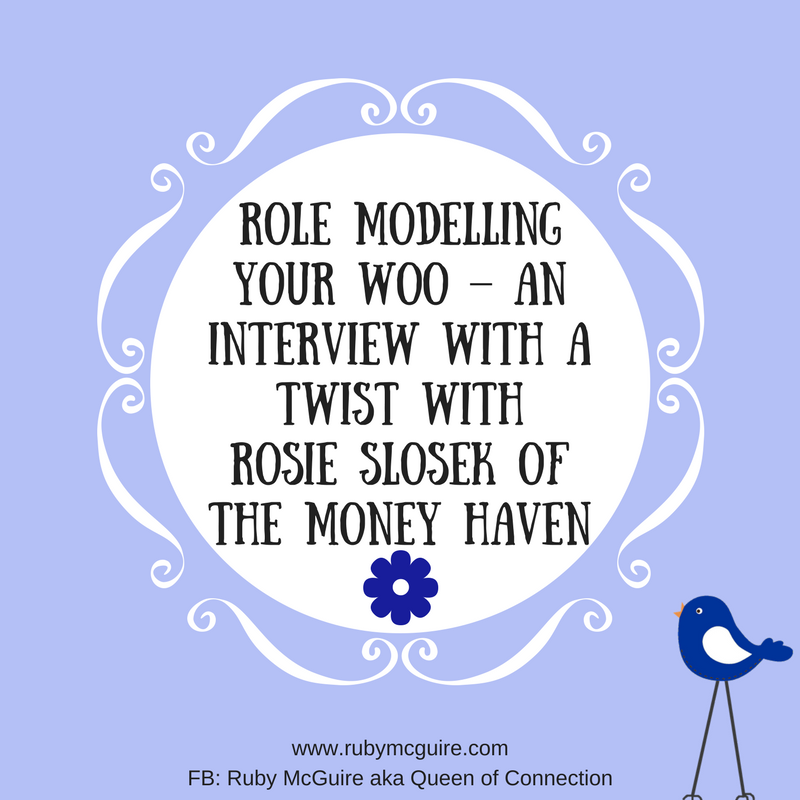 Let’s talk with Rosie to find out a bit more about her and how she embraces her woo.